Vietnam’s Best Beaches are found in several different locations. In recent years tourism in Vietnam has exploded. Once seen as a bit of a mystery, it has opened up to visitors in recent years. Vietnam is becoming one of the most exciting holiday destinations in Southeast Asia. 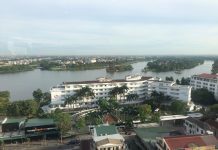 The Red River and Mekong Deltas, Sapa, Halong bay and the mountainous regions around Da Lat provide fabulous scenery and a huge amount of cultural, natural and religious history. Lying some 60 miles off the coast of Vietnam, The Con Dao Islands provide stunning scenery and great beach holidays. Fifteen islands in close proximity are famous for lush greenery and fabulous beaches. 80% of the entire islands area, forms the Con Dao National Park, where the World Wildlife Fund works hand in hand with locals, to protect the breeding grounds of Sea Turtles. The water here is perfect, clear blue and crystal clear. It is a great place to spot the many sea creatures that inhabit these waters. As well as an abundant fish stock, you can also see dugongs, salt water manatees. This is a very unspoilt area, with tourism at a minimum. There is an infamous, though thankfully now disused, old prison camp here. This is another island location; this time, the largest in Vietnam. It actually lies off the coast of Cambodia, is administered by Vietnam and has been the subject of ownership rows for years. That is not surprising, it is a paradise and holds many of Vietnam’s Best Beaches. It has more tranquil locations and beautiful beaches than just about anywhere in Southeast Asia. Sadly there is not a great deal of indigenous wildlife; the packs of wild dogs have taken care of that. However the scenery is stunning with lush green tropical jungle covering large portions of the island. The white sandy beaches fringe the whole island. The sea provides a huge percentage of the local economy, whilst pepper plantations provide the rest. Pepper from here is as valued as that from Kampot, among the best in the world. 70% of the island forms the Phu Quoc National Park. Being as it is, relatively close to Saigon, Mui Ne has become something of a weekend getaway for the city’s middle class. As a result, many hotels have been built over the last few years. The town planners have stuck to a strict policy regarding their construction and the place has retained much of what made it such a popular destination in the first place. It enjoyed many years of being virtually unknown, but such is the beauty of the place, that it was only a matter of time before word spread. Not far from Nha Trang lies the private beach resort of Doc Let. This Government run beach resort is busy but still very beautiful. Entrance is only charged at VND10,000 and thus is available to everyone. It is a long beach and although busy, it is normally possible to find a relatively quiet spot. 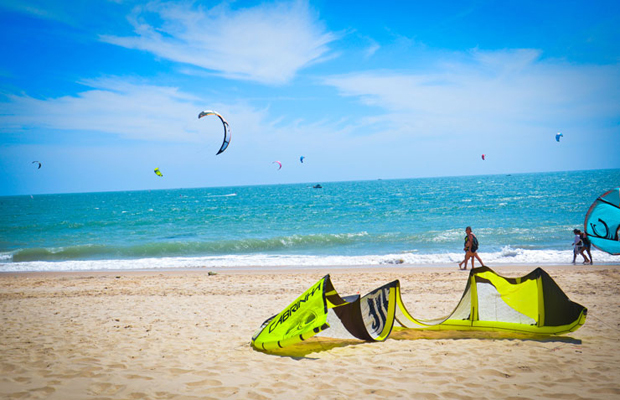 It is worthy of it’s place among Vietnam’s Best Beaches. The nearby town is very small and quiet and the whole place is all about chilling out and relaxing. This is a great spot for hiring a motorbike and exploring the locale. This is most popular resort area in the country and certainly has one of Vietnam’s Best Beaches. The views are astonishing here. A small amount of motorised vehicles and a preponderance of bicycles and pedestrians make Nha Trang a delightful place to visit. Azure blue seas, whites sands fringed with thatched beach umbrellas and tall pine trees, provide one of the most glorious beach locations imaginable. The local people here hit the beach at 5.00am to swim, walk and take the air. It is quite remarkable, by 8.00am they have left to go about there business, leaving behind a beautiful, tranquil location. China Beach to give it its Western name grew in notoriety due to the American TV show of the same name. 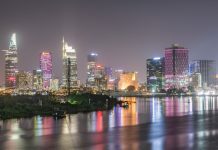 Its proximity to Da Nang make it a very popular spot. Middle class Vietnamese from Hanoi and Saigon join the hundreds of holidaymakers here at the weekends. 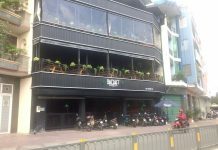 It is equidistant from Vietnam’s two main cities, making it ideally placed to service both. This has become the most important beach resort in the country and My Khe has been named in many lists of the world’s finest beaches. It is a six-mile long strip of golden sand, clear blue waters, palm trees and incredible mountain views. An important centre for many water sports, it draws large numbers of diving enthusiasts who come to view the coral. Just two and a half miles out from the prettiest town in Vietnam, Hoi An, the Big Sea Mouth as its name translates, is glorious. The sea is very safe here and the gentle incline of the beach makes for a perfect family holiday setting. The sun here can be fierce, but shelter is available in the form of thatched beach umbrellas. There is no better place to sit, with a cold drink and a local Banh Mi (baguette style sandwich). The Cham Islands sitting a few miles out in the East Vietnam Sea, provide a delightful vista from the beach. Vietnam is a fabulous destination for just about any type of holiday. If its sun, sand and sea that you are looking for, you will not be disappointed. How many have you visited? Tell us about your Vietnam beach experiences.